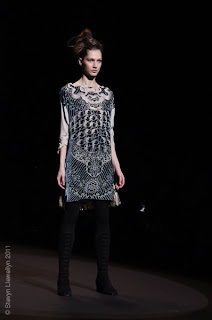 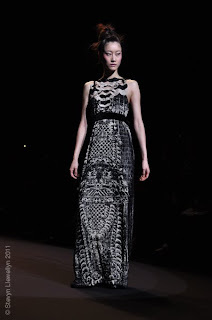 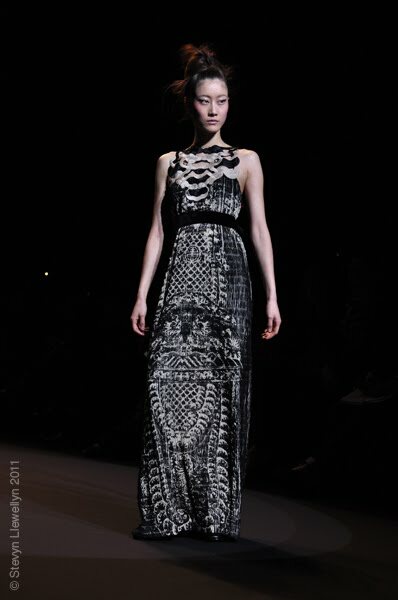 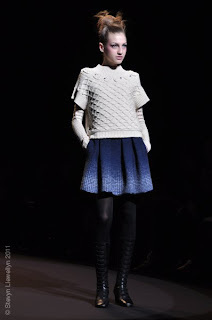 Vivienne Tam Fall 2o11 is inspired by traditional Chinese opera, with a modern twist. 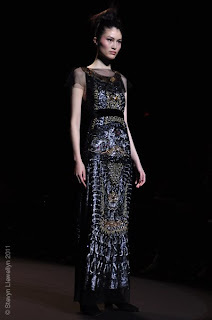 The dresses are elaborate, romantic and dramatic. Beading, lace appliqué and layers of jewel tones are stunning against the black-dominated palette. 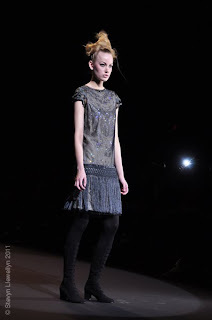 Tam also includes a mix of wool and tweed separates.